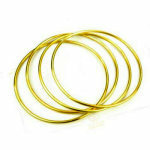 Link and unlink small solid metal rings! 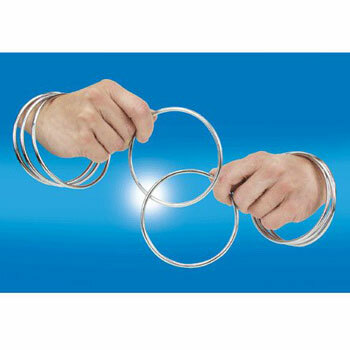 Magically link and unlink small solid metal rings! You're dying to know how these work! The Linking Rings is by far the most requested effect we carry! Not only is it a very popular part of most professional magicians' acts, it is a fascinating effect to watch. 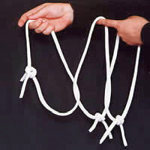 To be honest, some customers purchase this set so they can perform the trick for their audiences, but some customers purchase the trick because they just HAVE to know how it's done!!! And please note that this is a FULL SET of 8 rings! The rings are metal, and are about 4" in diameter. 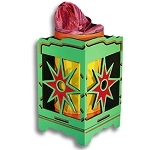 This is a great size for small hands, and excellent for the closeup magician as well! 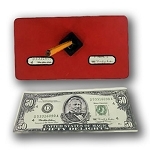 The 4" size means they are lightweight and easily held by children, but make no mistake- this is a nicely made set, perfect for tucking into a closeup case if you are a restaurant worker or strolling magician. This set comes with basic instructions. You'll learn the secret of making the rings link and unlink, plus a basic routine of some linking moves you can do. 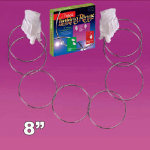 For more instruction and ideas for routines, you'll want to get the Complete Linking Rings Routines DVD. 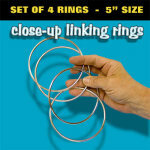 Get the absolute most out of this set of Linking Rings! 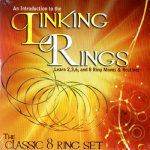 You can get the incredible Complete Linking Rings Instruction DVD for only $11.99 (a savings of $2.00) when you buy any set of Linking Rings- including the set you are looking at here! The DVD will teach you exactly how to handle the Rings like a pro, plus you'll learn amazing tricks and routines using 2, 3, 4, 6, or 8 rings! You will never run out of new material for your act! See more LINKING RINGS sets! 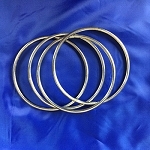 Rings are 4" diameter. Solid metal. 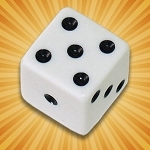 Set of EIGHT. 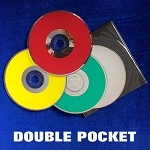 There are a number of books and DVDs available with more routines. These were a great size for my son who is just starting to learn magic tricks. Even though I have rather large adult size hands, I can easily work these rings as well. My son is having fun watching me do the classic linking rings moves and then learning how to do them himself. These are a really good price too.